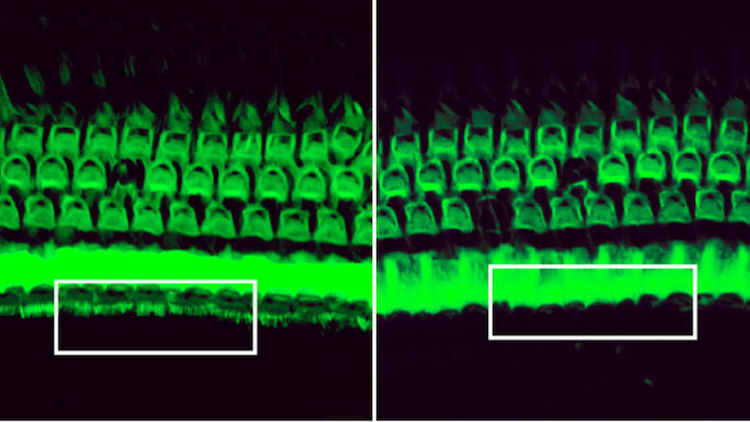 In a recent study done at the Wellcome Sanger Institute discovered 38 new genes in mutant mice that are related to hearing loss. Hearing loss is very prevalent in our society, with many people experiencing deteriorating hearing as they age. The study done on 1,211 mutant mice revealed 38 new genes related to hearing loss that were not known before. Out of the 38 found, 11 of the genes can be linked significantly to the hearing ability in the UK population. 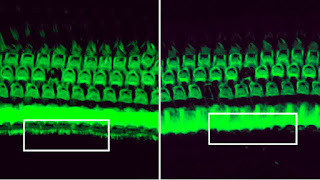 One of the genes, SPNS2, is linked to childhood deafness. The studies done show that hearing disorders are varied and can involve as many genes as 1000. Therefore there will not be an end all cure to hearing loss, but the new research is a big step forward in helping prevent hearing loss. The research can even be used to just slow down the rate at which people lose their hearing ability. This new research is very important for the fact that it can help prevent hearing loss as we age. Without hearing, someone's social life can be dramatically effected. Without the ability to hear everyday activities can become strenuous and tedious. Being able to push back, or even prevent hearing loss with age would be very beneficial to us all.